Home » Coffee Beans Blog » Coffee Newsletter: Wishing you all a Happy Christmas 2014! Fellow caffeinophiles, I hope you have had managed to do all your Christmas shopping by now. If not, you’ll find some interesting brands, coffee gift ideas, and even a recipe I made! I’m not talented at baking but I surprised myself, and the wife! We listed some top brands in three important coffee markets, the US, Canada & the UK. I’m not sure if my list was complete… I’m pretty sure I left out one or two important brands! You can add them yourself, I’d appreciate that! With online shopping being a popular choice to avoid the usual Christmas *c*rush, I provide 9 useful tips on choosing the best online coffee gift shop (or indeed any online store). Have you ever been cheated by shopping online? My Wicked Wednesday post profiled a simple recipe for making Apple Pie. I’d forgotten that I could make this, and with only eating apples for sale, it turned out pretty decent! You can see the recipe & results in this post. Ever thought of making a gift basket for a present, well making one with coffee gifts turns out to be a great idea! Your local department store or shopping mall can be the source of some good presents for a gift basket. And we end the week with a thoughtful teddy bear pondering his coffee choices for Christmas. Tuesday’s post features a nice delicacy named after a famous American city. See if you can guess what it is! More tips, coffee and perhaps a photo of me! 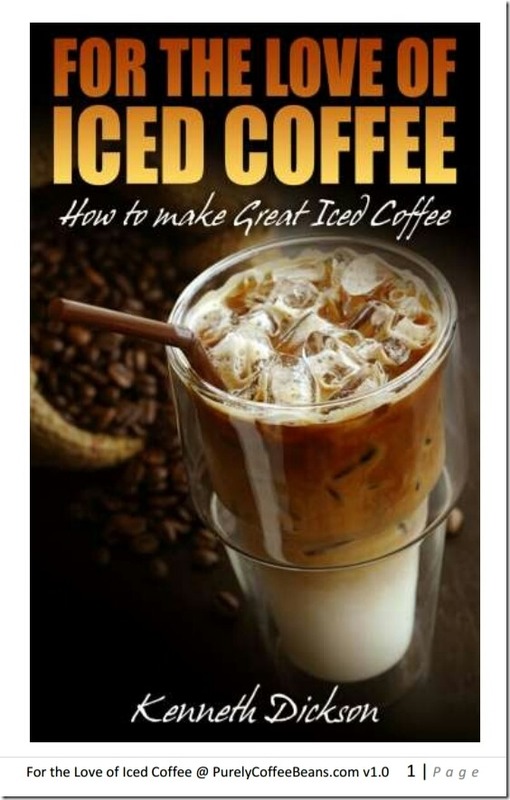 I sincerely hope that you find PurelyCoffeeBeans.com, the free e-books, and all our resources helpful to you. If you have any questions, ideas or Where Can I Find requests, please contact me! I’ll do my best to help you. And remember, make YOUR next cup of joe truly aaaah-mazing!